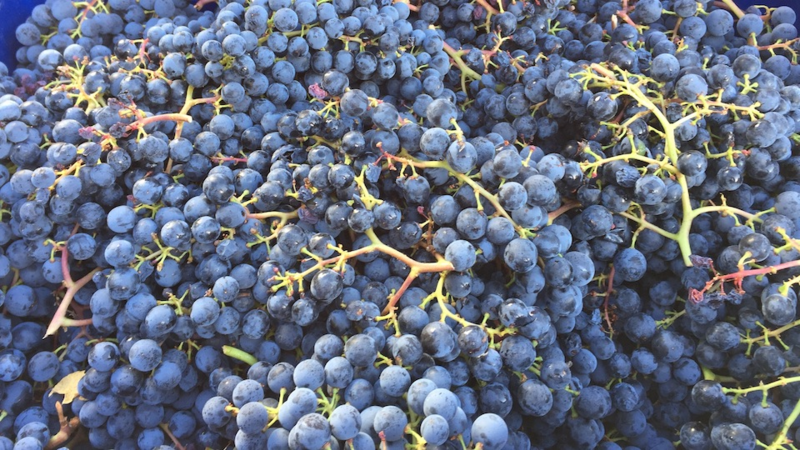 Two thousand sixteen is shaping up to be a fabulous vintage for Napa Valley Cabernet Sauvignon, trailing only 2013 as the finest vintage of the decade so far. The 2016s continue to impress with their dazzling aromatic presence, finesse and nuance. Readers will have to be more selective with the 2015s, which are far less consistent. Late on the night of October 8, 2017 a series of wildfires ripped through Napa, Sonoma and Mendocino counties. It was a perfect storm, of sorts. Heavy rains in winter resulted in high levels of vegetative growth that later dried out during the scorching hot summer. Once the fires started there was plenty to burn, while high winds made the fires uncontainable. At that point, preservation of life was the only objective. The harrowing stories of people escaping their homes with only a few moments to spare, literally with the clothes on their back, are plenty. A few weeks earlier, I had tasted at Signorello, Mayacamas and Kongsgaard, all of which sustained significant damage. Shafer and Chimney Rock, which I also visited on that trip, were spared. Firefighters from around the world gathered to protect local communities as best they could. It was a heroic effort. Each day brought images of fires creeping over hillsides, threatening considerable destruction. As it turns out, vineyards are natural firebreaks. Only a few vineyards were severely impacted. But the biggest cost of these fires is probably not to wineries or vineyards. It is the human toll that is most severe. In Sonoma, an estimated 5,500 homes were lost. The fires hit at the height of the tourist season. Hotels and restaurants absorbed millions of dollars of lost revenues that will never be recovered, and that, of course, affects the livelihoods of thousands of families. When I returned to Napa Valley in November, rain had already caused vegetation to grow in burnt areas. I suppose the Earth’s ability to regenerate is a small miracle. Indeed, the casual visitor traveling up and down Highway 29 or the Silverado Trail might not notice anything at all out of place. That is both good and bad. Napa Valley lives off of tourism. It is critical that consumers return to the area and start spending money again. On the other hand, it is just as important to remember that the lives of many thousands of families remain heavily impacted. That won’t change overnight. Up until the fires, Napa Valley had seen a very strange harvest that started early and then experienced massive heat spikes around Labor Day. Even so, well-farmed vineyards looked in excellent shape when I arrived in mid-September. I tasted a number of 2017s from tank that held huge promise. Unfortunately, the fires knocked out power in many places, cutting cooling, and making all but the most manual of winemaking processes simply impossible. Some wineries had their fruit in early, so the wines were further along and therefore more stable, but many other wineries had a lot of fruit on the vine. In a number of cases, the vineyards remained inaccessible for a week or more, which means the fruit sat out much longer than anticipated in the heavy, smoke-filled air. It is too soon to know what the quality level of the 2017s will be. Some estates will bottle no 2017s, others may bottle just a little bit of wine. The one thing that is certain is that there will be much less wine in 2017 than in a normal year. In the meantime, though, consumers will find plenty of fabulous wines from both 2016 and 2015. The 2016 Cabernet Sauvignons are gorgeous wines endowed with striking aromatic intensity, nuance and depth. Over time, the wines have fleshed out beautifully. The 2016s have decidedly dark flavor profiles similar to 2013 and 2014, but softer curves and more voluptuousness than either of those two vintages. In other words, the 2016s are similar to the 2013s, but with much softer tannins, or the 2014s, but with more textural depth and immediacy. Perhaps most importantly of all, the wines are incredibly delineated in the way they speak to the essence of site. Put simply, at this stage, 2016 is second only to 2013 among the top vintages of this decade so far. I spent two months in Napa Valley in 2016, which gave me an opportunity to watch the entire growing season unfold, from beginning to end. At the outset, 2016 looked like it would be another precocious harvest. In late July, as we were wrapping up our research on our Stags Leap and Yountville maps, viticulturists and winemakers were scrambling to get in their last days off before what was shaping up to be an early harvest along the lines of 2015, which at the time was the earliest harvest on record. But then August brought with it unusually cool weather that pushed harvest back into more normal time frame and also extended hang time considerably. That, in turn, gave producers a wide window in which to pick and led to a relaxed Cabernet Sauvignon harvest that lasted well over a month. In the field, the crop was generous and clean, a stark contrast to 2015, where yields were tiny and further affected by sunburn and shrivel. The fruit I saw coming off vineyards in the fall of 2016 was impeccable. There were a few rain events during harvest, but their importance is hard to speak about in general terms because Napa Valley is so vast and winemakers have differing views on what constitutes optimal ripeness. From a technical standpoint, winemakers observed low conversion ratios (the conversion of Brix to finished alcohol.) Most winemakers I spoke with attributed this to the cumulative effects of four years of drought conditions. 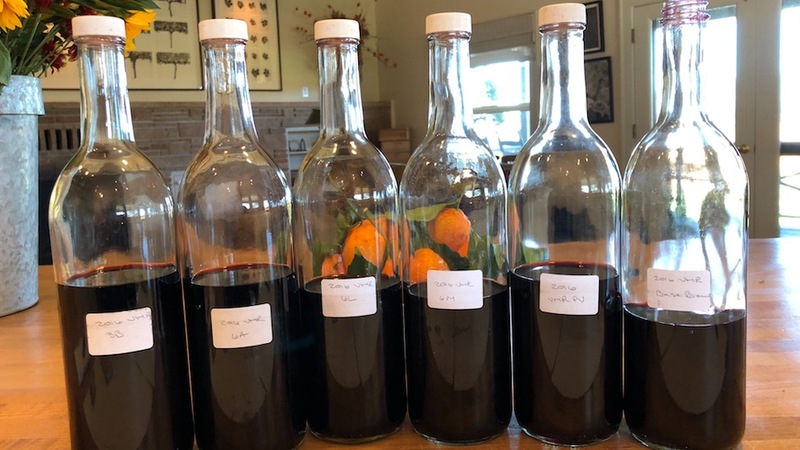 The 2016s are also naturally low in tannin, but over the last 6-12 months, the wines have gained meaningfully in depth and textural intensity, which makes the wines feel much more complete than they did when I first started tasting them from tank that fall. 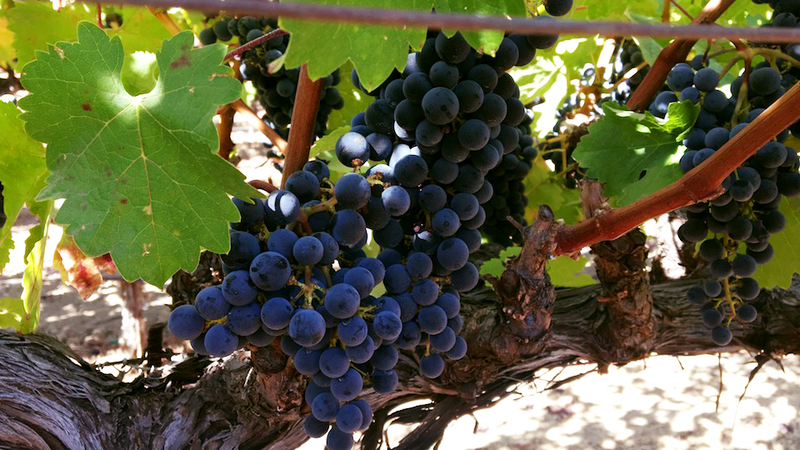 Most of the 2015 Cabernet Sauvignons were bottled during the summer of 2017. Poor weather during flowering coupled with severe drought and a number of heat spikes resulted in low yields, irregular ripening and elevated amounts of sunburn and shrivel. The final phase of ripening occurred very quickly, which led to compact harvest times and sent vineyard crews scurrying to try to get as much fruit off as possible quickly. Under these circumstances, I expected to see massive, opulent wines in 2015. There are certainly plenty of wines with those characteristics. But, at the same time, many 2015s are surprisingly medium in body. In those cases, I suspect the effects of drought, hydric stress and a shorter than normal growing season produced fruit that was not fully developed. While the best 2015s are undeniably thrilling, quality is inconsistent and many wines show distinctly roasted, overripe flavors and/or unpolished tannins. The Vinous Vintage Chart, also available on the Vinous App for iOS and Android smartphones, contains vintage summaries back to 1961. An unusually cool August changed the course of what was shaping up to be another record-early harvest for Napa Valley. The 2016s are aromatically expressive, nuanced and super-finessed. The wines have continued to put on weight during aging that was missing at the outset. At this stage, 2016 has the potential to be one of the finer vintages Napa Valley has seen since 2011. The 2015 Napa Valley Cabernets I have tasted from barrel so far are positively stunning in their beauty. Despite a year with considerable challenges and low yields, 2015 is shaping up to be a vintage of opulent, voluptuous wines with real personality and character at the top end. Beyond, that though, quality is much less consistent. Some wines show distinctly roasted notes while others lack depth. The third year of the current drought cycle resulted in an even earlier harvest than 2013 and a surprisingly abundant crop. Still, the 2014s have managed to hang on to a good deal of acidity. Today the 2014s come across as a bit slender, with terrific energy, minerality and nuance. At the top estates, there will be little drop off in quality from the 2013s, although the 2014s have less flesh and pure concentration. Time has been a benefit, as the 2014s continue to grow. A once in a generation, modern day classic for Napa Valley Cabernet Sauvignon. An early bud break and a warm growing season during the second year of the current drought cycle led to one of the earliest harvests on record. The recently bottled 2013 Napa Valley Cabernet Sauvignons are every bit as viscerally thrilling as they have always been in barrel. Inky, vibrant and structured, the wines possess remarkable concentration, with bright acidity and powerful tannins to back it all up. This is a vintage where the extremely high level of quality has raised all boats. Simply put, the 2013 Napa Cabernets are some of the most profound, riveting, young wines I have tasted anywhere in the world. Readers will have to be patient, as the 2013s are likely to age at a glacial pace. Overall, the 2012s are supple, open-knit and accessible, all of which give the wines considerable near and medium-term appeal. The fruit-driven personality of the year is often manifested in wines where site-specific nuances are not clearly delineated as they are in more complete vintages, while the wines' mid-weight personalities suggest they are best enjoyed over the medium term. The best 2012s are radiant, generous and inviting, but only a few are built for the long term. This high yielding, generous, often overrated vintage presented growers with far easier conditions than they had seen in a number of years, which generated considerable early enthusiasm. Moderate weather with just a few heat events at the very end of the season led to a long, protracted harvest in which producers could choose when to pick. The large yields presented some winemakers with logistical challenges in terms of how to deal with all of the fruit. Cold, rainy conditions throughout the year resulted in one of the most challenging vintages in recent memory. Ripeness was hard to come by, while rot - which is extremely unusual in Napa Valley - spread throughout the vineyards at a rapid pace, especially on the valley floor, where the wines are light in body and structured, with only modest complexity. Hillside appellations fared far better, as they lie above the fog line and saw warmer, sunnier weather with less humidity than on the valley floor. Specifically, Howell Mountain and Pritchard Hill are two areas where the 2011s seriously out-perform the vintage as a whole. The best mountain sites and producers made truly striking, fabulous wines in 2011. Alcohol levels are lower than the norm, which gives the 2011s a distinctly Old World feel. Two thousand ten is a fabulous vintage that combines the structure and energy of a cold vintage with the ripeness of a warm year. Up until 2011, 2010 was the longest and coldest growing season many producers had ever seen. The summer was quite cool, which tempted some winemakers to de-leaf, a big mistake when an unexpectedly long and brutal heat wave arrived towards the end of the season. Where growers were more prudent, the wines are utterly brilliant, with deep colors, precise fruit, ripe tannins and expressive aromatics. The best 2010 Cabernets are full-bodied, flamboyantly ripe and also tannic. Readers should continue to cellar the 2010s for at least a few years, but preferably even longer. Our commitment is to provide readers with the most comprehensive and detailed coverage of Napa Valley and its wines available anywhere. Over the years, I have been fortunate to taste many Napa Valley wines starting with their first release. These include Brand, Gandona, VHR – Vine Hill Ranch, The Vineyardist and many others. This article continues that tradition with a number of new wineries that are or soon will be releasing their first wines. But Vinous offers readers so much more than just coverage of new releases and young wines. Verticals and Retrospectives give readers the opportunity to track the development of estates and wines over an arc of time. Some wines will invariably turn out better than expected while others will disappoint. The only way to have some sense of how wines age is to constantly taste, and to then report on those tastings. Ovid, Colgin, Seavey, Arietta, Bryant and BOND have all been the subjects of complete or near-complete verticals over the last year. 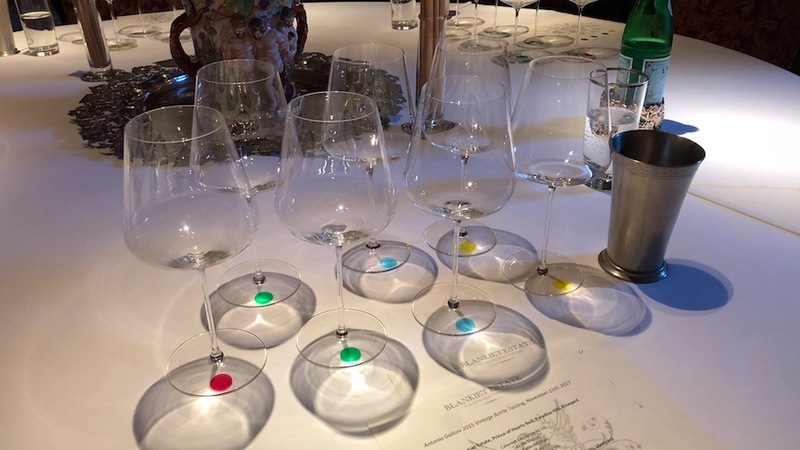 In addition, my colleague, Steve Tanzer, continued his series of retrospectives with in-depth looks at 2007 and 1997 vintages at ages ten and twenty respectively. Several years ago, we embarked on a project to map the vineyards of Napa Valley. In 2018, that works continues with two new maps. Our map of Mt. Veeder and Moon Mountain will, for the first time, make it easy to understand the relationships, similarities and differences between vineyard sites in these two neighboring mountain appellations. Later in the year, we return to the valley floor with our map of Calistoga. Vines have been planted in Napa Valley since the mid 1850s. These are the most comprehensive, painstakingly researched maps ever created of the vineyards of Napa Valley. No detail has been overlooked. The map collection presently includes in-depth, painstakingly drawn maps of Oakville, Pritchard Hill, Stags Leap, Howell Mountain, Yountville, Rutherford and Saint Helena & Conn Valley. 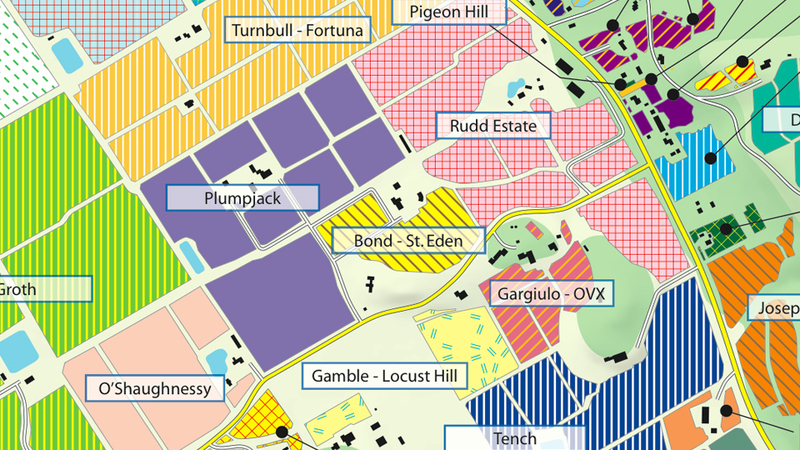 This excerpt of the Vinous Map of the Vineyards of Oakville depicts a handful of prime sites in the foothills of eastern Oakville, including Plumpjack, Turnbull - Fortuna, Bond - St. Eden, Rudd Estate, Gargiulo – OVX and Tench. With the possible exception of a handful of estates (but no more than that), ultra-premium Napa Valley wines, which we define as $200+ per bottle, are increasingly hard to sell. The proliferation of new, ambitious, high-quality estates, along with generally improving overall quality, means consumers today are faced with a dizzying array of choices. Vinous readers tell us they are diversifying purchases and buying the same or slightly more wine than in the past, but from more wineries and/or sources. Stated simply, where consumers used to buy 12 bottles, they buy 6; and where they used to buy 6 bottles, they now buy 3. At Delectable, our user base is 40% women and 50% under-35. Millennials show a greater desire to experiment and try new things than previous generations have. The curiosity to sample a wide variety of wines, along with the vast choices available to today’s consumer, almost certainly leads to less brand loyalty than in the past. Empirical evidence appears to support that conclusion. The risk is that, when trimming purchases, consumers are more likely to leave newer brands, especially once their novelty factor has faded, in favor of the next big thing, whatever that may be. A parallel development is the undeniable inflation of scores among some wine critics/publications that are more interested in self-promotion rather than in protecting the interests of the wine consumer. We can leave a discussion of whether or not this is a smart long-term strategy for another time. What is clear beyond any doubt is that 95-point scores do not move high-end wines to the degree they once did. So, publications are incentivized to go even higher to gain the attention they crave. This creates the current bubble-like situation in which 98-100 point scores are handed out like candy at Halloween. The number of wines with huge scores makes it impossible for the consumer to differentiate the epic from the outstanding from the very good from the average. Whereas once a winery was thrilled with the exclusivity of a 98-100 point score, today those ratings mean less than they used to because so many other wineries are at the same perceived level. Clearly, this is not a sustainable situation. What will happen when consumers open their ‘100-point’ wines in a few years’ time? Will they have the epiphany they expect? Maybe. Hopefully. Or perhaps it is irrelevant. “I really don’t care,” a highly regarded maker of ultra-premium Napa Valley wines told me recently. “My wines will be drunk before anyone realizes they aren’t going to age.” Thankfully, that is not a view that is shared by all producers, especially those who make the kinds of wines Vinous readers are interested in. All that said, many of us remember what happened to Australian wines and lower-end Spanish wines when many of them failed to live up to the lofty praise that was bestowed upon them in the 1990s. On the other hand, there are some mitigating factors that are important to note. Recent acquisitions by Artemis Group (Eisele Vineyard), Alfred Tesseron (Pym Rae), and LVMH (Colgin) all suggest the prestige of Napa Valley wines globally is growing, and that is a huge positive. 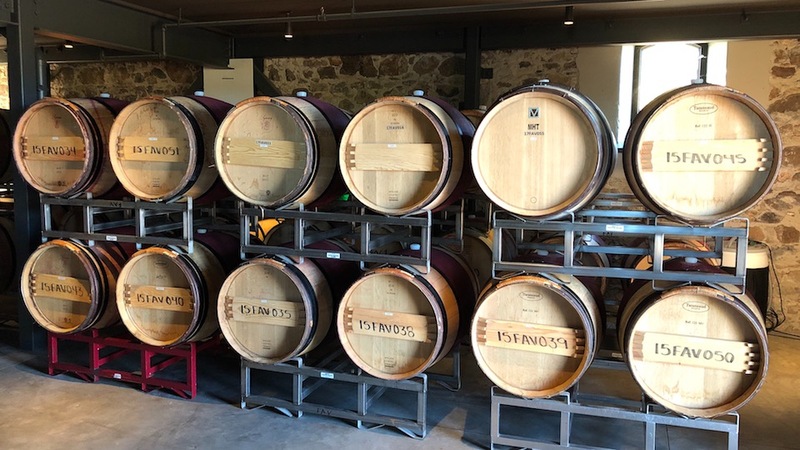 Moreover, recent interest from Bordeaux’s négociant houses in distributing top Sonoma and Napa Valley wines could be a game changer globally, especially in European and Asian markets, where Napa Valley wines have a negligible presence. We shall see. Tenacity – The grit shown by many Napa Valley winemakers during the October fires was remarkable. “I can rebuild my house if it burns down, but I can’t afford to lose this vintage,” a winemaker told me while camping out in his winery and living off of energy bars and water while fires were raging just a few miles away. I heard many similar stories during two weeks that tested the mettle of Napa Valley’s winemakers and residents like never before. Accendo – Bart and Daphne Araujo produced stellar Cabernets in both 2014 and 2015 under their new Accendo label. Bevan – Russell Bevan and his partner, Victoria De Crescenzo, have gone from being small producers working with purchased fruit to now owning estate vineyards and having a brand, new winery in Oakville. That takes passion, vision and the ability to execute, all skills that are rare. The 2015s are showy and sure to be crowd pleasers, but the 2016s are even better, as they are more expressive of site. The red blend Ontogeny is, in my view, just as compelling as many of the higher-end wines. Tony Biagi – Biagi has proven he has the magic touch when it comes to making modern, sumptuous Napa Valley Cabernets of the highest level. Not only has Biagi made a meaningful difference at every estate where he has been in charge (PlumpJack, Hourglass), he has also shown a talent for grooming winemakers who have eventually taken over day-to-day winemaking at his projects (PlumpJack, Sinegal) and for helping turning around estates entirely, most notable at Clos du Val, but also Amici, all while making tremendous wines at Patria, his own label. Blankiet – Under the direction of Graeme MacDonald, these wines have never been more thrilling than they are today. Claude and Katherine Blankiet could have hired anyone they wanted to take over the reins after Denis Malbec passed away unexpectedly in 2016. Over the years the Blankiets have employed a who’s who of famed winemakers at their estate. Instead, the Blankiets took a chance and hired MacDonald, one of Napa Valley’s most talented young winemakers, and then gave him an enormous amount of latitude. That decision has paid off big time in an absolutely stellar set of 2016s. Alejandro Bulgheroni – Napa Valley is full of new, ambitious, high-end wineries making luxurious, super-expensive wines with no track records. Argentine mogul Alejandro Bulgheroni’s project (covered in the second installment of this article) is the real deal. These are magnificent wines by any measure. 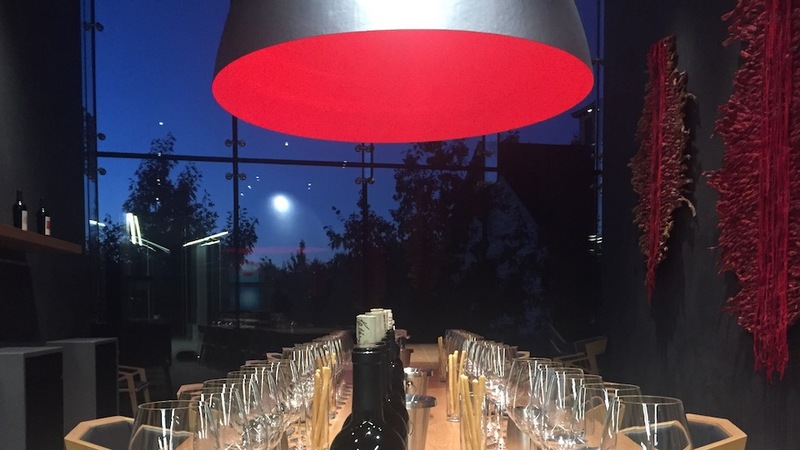 Continuum – I was simply blown away by the wines I tasted on my most recent visit. The estate has made noteworthy, powerful wines since the beginning, but the latest vintages point to a greater emphasis on finesse. Tim and Marcia Mondavi, and their family, were spot on in their instinct to focus on these Pritchard Hill sites for Continuum. 1510-1520 Diamond Mountain Road is the tentative working name for a new estate that has been formed by the purchase and subsequent combination of the former Reverie and von Strasser properties. Nigel Kinsman, formerly of Araujo Estate, is in charge of the vineyards and winery. The first wines I have tasted from this new project are thrilling. Actually, they were already thrilling in late 2015, when I tasted them from barrel. 1510-1520 Diamond Mountain Road is a super-ambitious project well worth keeping an eye on. Kelly Fleming – Rebecca George has taken this Calistoga estate to new heights with magnificent wines in both 2015 and 2016. One of Napa Valley’s most promising young winemakers, George has made the most of a team anchored by viticulturist Mike Wolff and mentor Françoise Peschon. Paul Hobbs – The 2016 Cabernet Sauvignons (reviewed in the second installment of this article) are magnificent and perhaps the greatest wines I have tasted from Hobbs to date. Nigel Kinsman – The former winemaker at Araujo Estate, Kinsman is making brilliant wines for 1510/1520 Diamond Mountain Road and his new project, Kinsman Wines. These are some of the most exciting Cabernets I tasted during a month of winery visits in the fall of 2017. 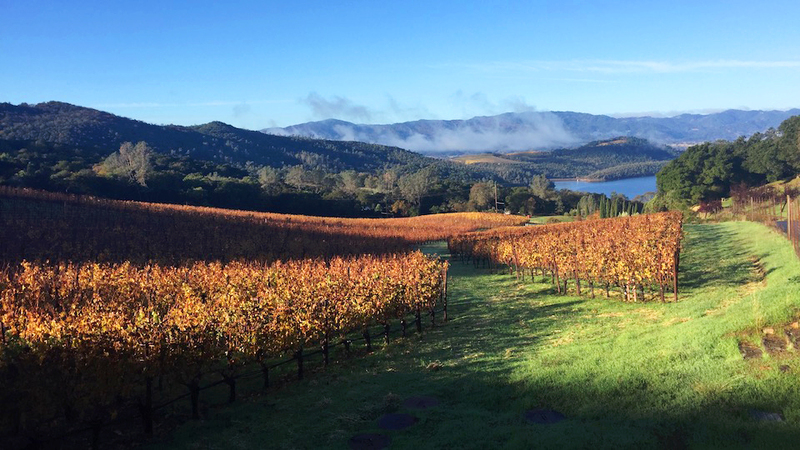 PlumpJack – Stellar, sumptuous wines in both 2015 and 2016 from Aaron Miller. Promontory – Winemaker David Cilli, originally from Montalcino, is making superb wines that brilliantly marry structure with fruit intensity. Bill Harlan’s decision to entrust such an important new project to a young, and up until now, unknown, winemaker is paying off big time. Shafer – Shafer’s new Merlot-based TD9 is stellar, while the One Point Five Cabernet Sauvignon flies under the radar, but is one of the very finest values in Napa Valley. Round Pond – Newly arrived winemaker JJ Dowell and consultant Thomas Brown are a formidable team at Round Pond. The wines from this well-known site keep getting better. The Underdogs – Properties that make gorgeous wines but fly under the radar. Burgess, Dyer, Groth and Frog's Leap come to mind. TOR – Tor Kenward and his longtime winemaker, Jeff Ames, turned out a seriously impressive set of 2015s. Over the last few years, Kenward and Ames have stepped up their game meaningfully, and it shows. 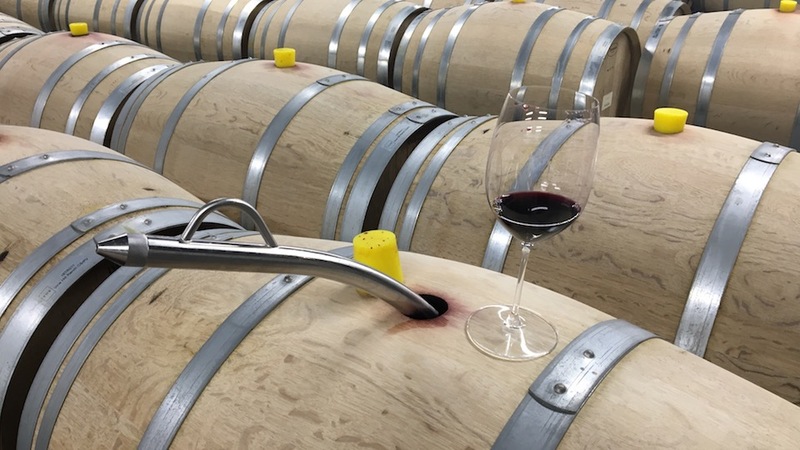 VHR, Vine Hill Ranch – The 2016 lots I tasted from barrel that are not in the core blend are better than many top 2016s elsewhere. That is how profound the wines from this Oakville winery are. Vineyard 29 – This estate in St. Helena has a well-known reputation for bold, explosive Cabernets. A reduction in oak and toast levels is allowing the true character of the Aida and Vineyard 29 Estate vineyards to come through like never before, while the Cru Cabernet remains one of the very best values in Napa Valley. Winemakers who steadfastly follow their own beliefs and convictions. Zeitgeist – Impressive Cabernet Sauvignons from Jennifer Williams and Mark Porembski. The range includes a Napa Valley Cabernet, plus single-vineyard wines from the Sleeping Lady and Lewelling vineyards, all done in a forward, sumptuous style that is hugely appealing. October Fires – At the end of the day, the damage from the October fires could have probably been much, much worse. Even so, for a number of days, the future of Napa Valley, its neighborhoods and wineries literally appeared to hang on precariously by a thread. Amarone is an Italian wine made from grapes that have been air-dried for several months. 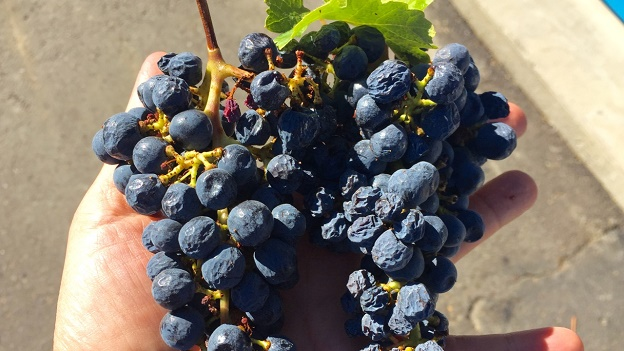 Napa Valley Cabernet Sauvignon should never resemble Amarone. As in Never, Ever. Single vineyard wines that all taste the same. Winemakers who very clearly have no personal conviction in their choices. I tasted the wines in this article from September through December 2017. The October fires forced me to reschedule two weeks of tastings and visits, which in turn, delayed the publication of this article. A second installment will be published in a few weeks. For the avoidance of doubt, there is no qualitative distinction to be made between estates that appear in this first part of the article and those that will follow shortly.